Sam came into our family before my children were born, long before I was able to follow my secret dream of writing fiction. His journey with us still lingers in my mind and is an example of how the past informs an author’s life. Sam was not only outside in physique, but in habits. He’d dig enormous dirt holes in the flower garden, and my toddler son, Paul, would drag the hose around after him, filling the holes with water. It was a partnership. Sam would slosh and roll, while Paul played happily in the mud next to him, patting and smearing it into shape, then wiping his hands on his clothes. Sam had an unerring sense of direction. He always knew which way Paul would follow with the hose. I called Sam “Wizard” in the first book in which he appeared. 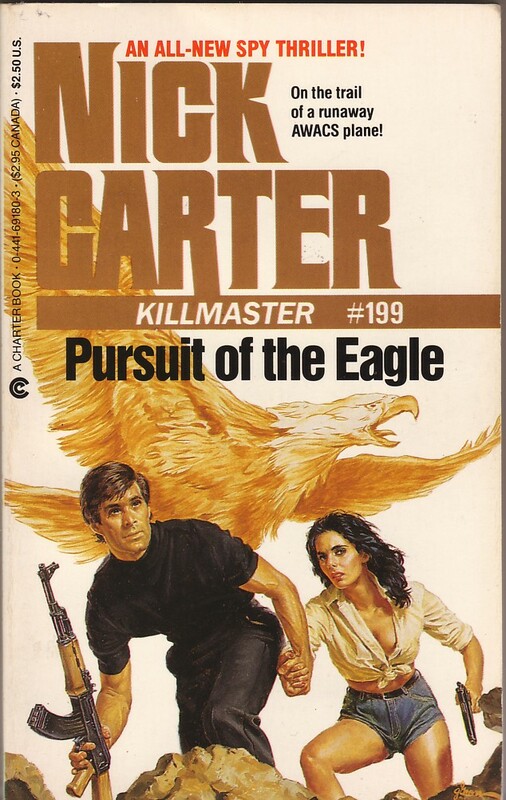 The novel, Pursuit of the Eagle, was pure male pulp adventure fiction. In it, Wizard’s directional sense was always accurate (no surprise there). Everyone marveled at Wizard and expressed undying gratitude as he heroically led them on a treacherous, muddy path winding out through mountains to safety. Whew. At a very early age, our dog Sam staked out his territory. If food fell onto the floor — usually because Paul and his little sister, Juli, were spilling, dropping, or throwing it — it was his. I had the cleanest floors in Santa Barbara. There was only one mishap. . . . It was December, and I was grinding cranberries to make an old family recipe for cranberry relish. Three cranberries landed on the floor. My faithful Sam had been sitting patiently, enjoying earlier mishaps — an orange slice, carrot shavings, and a piece of apple. Still starving, he lapped up one cranberry. His lips curled back. His muzzle wrinkled like an accordion. He shook his head, and spat. The bright red cranberry flew across the room and stuck to the white refrigerator. He tried a second. Same result. As for the third — he stared at it, turned, and walked out of the room. It was the only time I’d ever seen him defeated. Sam’s second appearance in one of my books was in a Three Investigators mystery in the Crimebusters series. 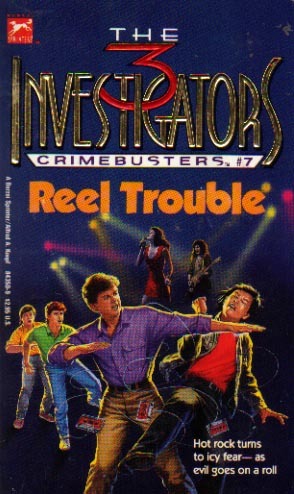 It was called Reel Trouble. Again I called him Wizard, and this time his dominant size kept everyone from approaching him, including the teenage investigators. Jupiter, the brains of the three, was a stout fellow who had decided to put himself on a strict (but ridiculous) diet of bananas and peanut butter, determined to lose some of his chubbiness. As he stood studying Wizard, who was blocking a door so the boys couldn’t get inside to search, Jupiter realized the dog was eying his banana. He told his friends what he’d observed. “No way!” one objected. “Dogs don’t eat bananas!” said the other. Still, Jupiter chose an enticingly ripe one, peeled it, and tossed it toward Wizard. By the time the dog had gulped it down, the boys were inside. Fortunately, Jupiter had several bananas in his backpack. And yes, our Sam loved bananas. Sam was a loyal and much loved member of our family. When I was pregnant, he went nuts protecting me — but not from people, from dogs. Woe unto any who approached. Sam’s roaring barks peeled the limbs off trees. Then as the children crawled, toddled, walked, and ran, Sam was with them, ushering them safely toward adulthood. He allowed them to roll on him, climb on him, and pull the dog bones from his mouth. Admittedly he followed them around until they dropped the bones, but there was never a question that he would harm the children. He loved them. It didn’t take him long to learn to bury the bones though. Even for Sam, there were limits. 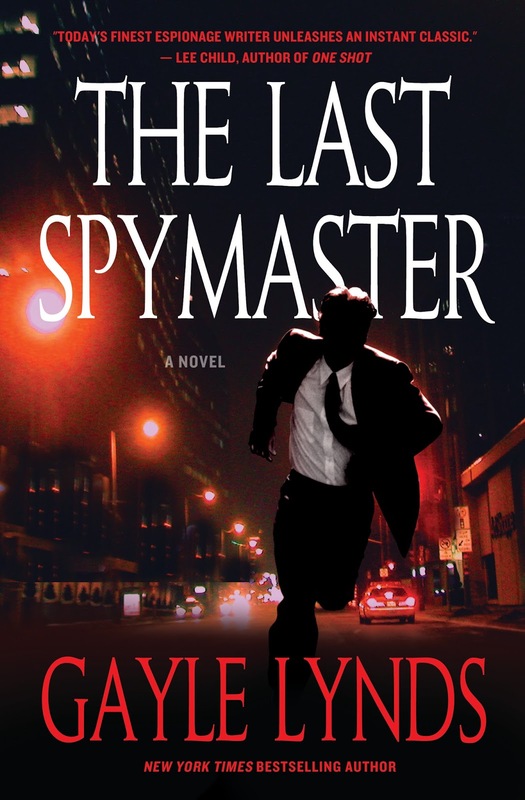 Sam’s final appearance was as another Wizard, this time in my award-winning The Last Spymaster. In it, he finally comes into his own. Partnered with one of the most important and fascinating characters in the book, he’s a spy’s dog, fully trained in tradecraft, loyal, smart, and, of course, breath-takingly huge. Even though his master is given up for dead, Wizard uses every trick he’s taught to save him — and succeeds. But that’s our remarkable Sam. Sammy passed away when he was only seven years old, in 1977. I have many photos of him with us and the children, but none is digitized so I can’t present them here. So use your imagination — a classic black Labrador retriever so huge he has to be taken to a moving company to be weighed on its scale. So black that he could double as a furry ink blot. So sweet that when he grew too large to sit on my lap, he started turning around and backing up, centering his prodigious rear onto my lap. So tender that when I cried, he licked away my tears. That dog could smile. His mouth would open, his lips would curve up, and his eyes would dance. Thirty-nine years later, I still have his dog collar, and he still has my heart. Do you have a story about a pet you’ve loved? Please tell us! This blog begins the next series of Rogue posts,"Animals — stories and/or whether they impact our writing." You won’t want to miss these wonderful tales. To get your personal subscription, just click HERE. What a wonderful story and what a wonderful dog he must have been.The worst thing about dogs is how short their time is with is. I'd forgotten about the dog in The Last Spymaster, but now I remember him. Sam lives on! Sam sounds wonderful and I would have loved to see him getting weighed! Nice, and touching, post and glad to hear about Sam. What a terrific companion Sam turned out to be! But yes, isn't it a shame that we fall in love with these wonderful pets and then we outlive them (well, usually)? Then again, they bring such joy to our lives -- and inspiration for your terrific novels -- you (and your many readers) can thank the Lord that Sam was such an integral part of your life! Thanks for sharing. Thank you so much, Sandy, Jamie, and Karna, for your wonderful comments. I'm glad you enjoyed my post about Sammy. I know I would have loved Sam. I have a dog that found me when he was three and in need of a home and I was eight and in need of a friend. He was a blond and white collie, husky mix and I named him Blueberry.